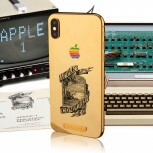 A company specializing in tailor-made luxury devices called Legend has introduced its latest collection of iPhone XS and Apple Watch 4 masterpieces. 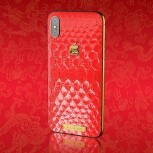 The smartphone has a customized back panel with variants that have actual diamonds, crocodile leather, and carbon fiber. Prices are lurking around €3,000, but you can get an Apple iPhone XS Max Lu Edition 512 GB for over €4,060. The base prices are listed for the XS version with 512 GB internal storage, but if you want to have the half of that, the price goes down €200. To switch from the XS to the XS Max, you have to shell €130 more, but at least you are getting a one of a kind smartphone to flaunt your fortune and ability to purchase a phone with pretentious design and no extra technological features. The company offers some customizations to the already bespoke variants. You can get various types of leather with a choice between alligator, python, stingray or shark because there’s nothing more manly to have an accessory with the skin of a dead animal killed for no reason. Legend also offers custom logos, damascus steel inlays, and options with precious gemstones. 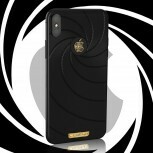 Devices can be purchased from the website, but Legend also has showrooms in Doha, Sydney, Hong Kong, and Macau. Facebook brings Live broadcasts to Android, starting in the U.S.